It’s Easter next weekend. How did that happen? 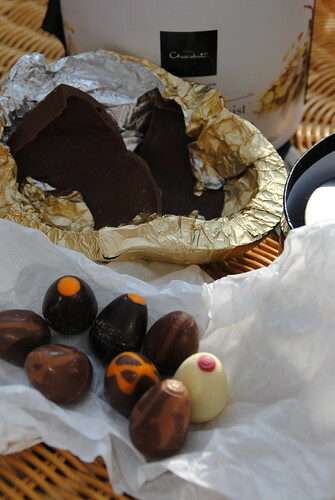 There is so much more to easter than chocolate and bunnies but that doesn’t mean I am averse to easter eggs, especially when asked to review them for free. Ooooh yes (and it makes me extra popular with Mr B…not that his love relies on chocolate..actually come to think of it, chips are probably rank equal in the brownie-points stakes). 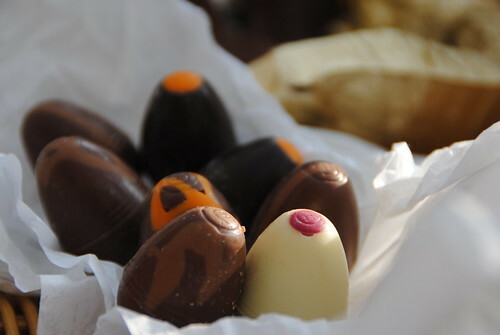 Hotel Chocolat has a range of five Extra Thick Chocolate Easter Eggs this year. 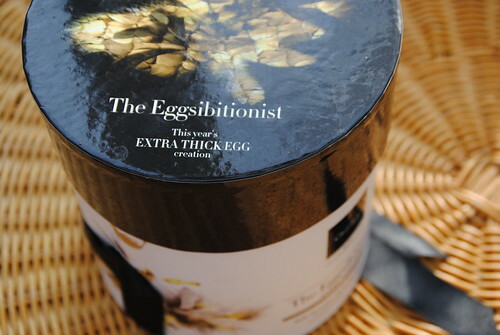 I went for the Eggsibitionist (aah do you see what they did there?). With glee I tore open the packing to see a rather swish looking presentation box filled with two halves of 40% milk chocolate. Clearly grown ups don’t need to smash the egg in half. A shame for the inner child in me, but I presume it’s to show of the very thick edges of the eggs. As Chocolette points out, the thickness doesn’t stay the same all the way through but actually, you’d need a hammer to crack it if it did, and I’d probably end up in some kind of diabetic coma. Clearly the milk chocolate is decent chocolate, but to my surprise it was the egg shaped truffles that were the clincher. So far I’ve tried the first three and they are all completely delicious. I’m normally wary of fruit flavoured chocolate as they taste very synthetic, but these really taste of fruit puree and the creme brulee has a definite caramelised sugar note to it. Oh and the salted caramel one? I’ll leave Mr B to sum that up: “um, you know that caramelly egg thingy, that was REALLY good. Really good”. High praise indeed.